Aquastars in general and particularly the Guernsey boats are said to be incredibly well built, solid and strong with excellent seakeeping abilities. Regularly commissioned as pilot boats, police or harbour launches the Aquastar 33 also lends herself well for diving or angling with her clear aft deck and safe high gunnels. 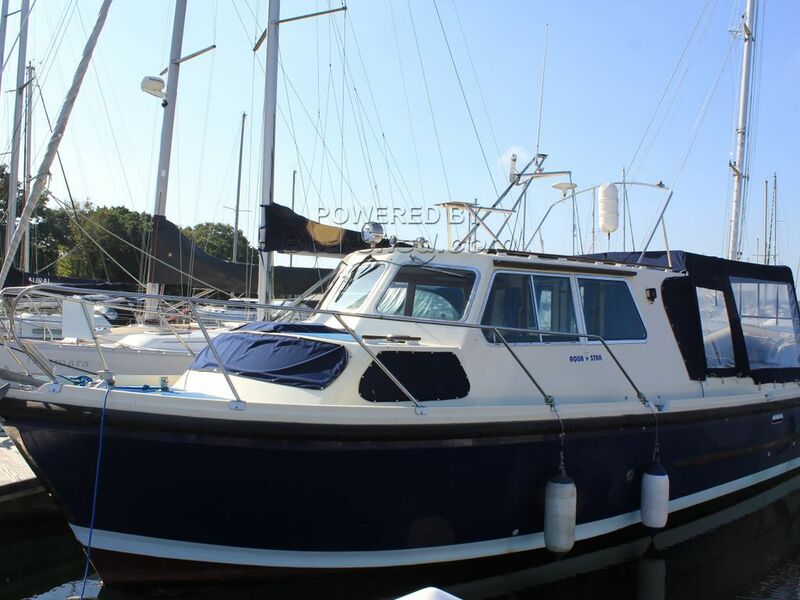 This Aquastar 33 Aft Deck Sportranger has been personally photographed and viewed by Corinne Gillard of Boatshed IOW. Click here for contact details.